The Elo 1519LM E019027 15.6 AccuTouch LCD Touchscreen Monitor for healthcare market offers best-in-class optical performance mated to leading touch technologies -IntelliTouch surface acoustic wave, AccuTouch five-wire resistive and projected capacitive with multi-touch capability -in addition to a combination USB and serial touch controller, DVI, VGA and built-in speakers. 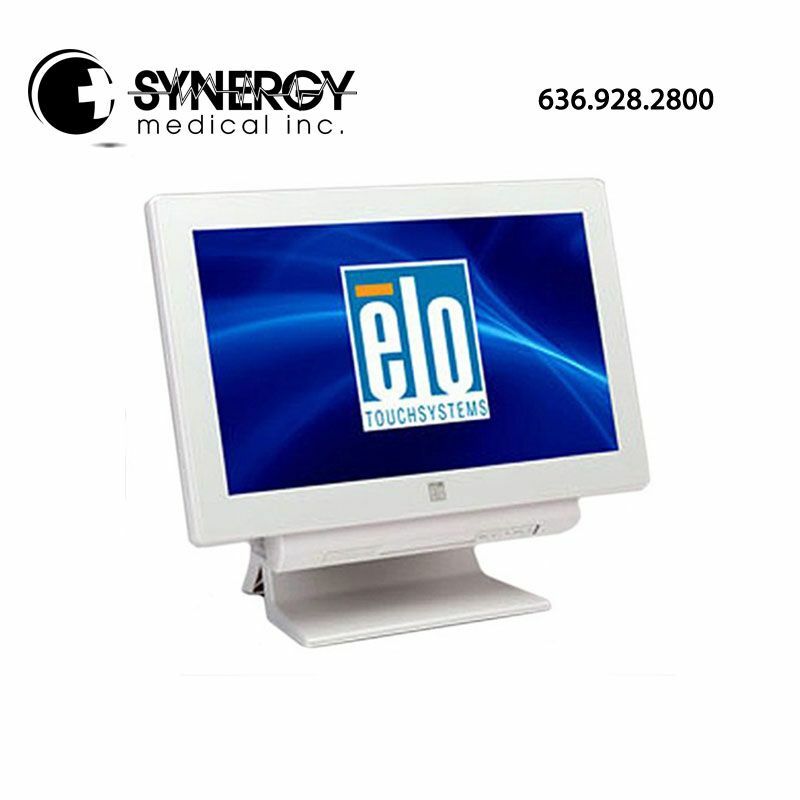 This Elo touch monitor is available in white, touch and non-touch enabled versions. The Elo 1519LM E019027 15.6 AccuTouch LCD Touchscreen Monitor is also compliant with multiple safety and electrical certifications including EN 60950-1 and EN60601-1 for safety and EN 60950-1, EN55022, EN55024, and EN 60601-1 (3rd Edition) for EMC and the Elo 1519LM E019027 15.6 AccuTouch LCD Touchscreen Monitor meets RoHS compliance. As a result the 1519LM is an excellent fit for a wide variety of settings, including healthcare. For more information on the Elo 1519LM E019027 15.6 AccuTouch LCD Touchscreen Monitor please visit Elo Touch Solutions.